Paul Jeffrey is the founder, President and Chief Investment Officer of Fairview Financial LLC. Since 2002 he has led the company to continued growth through his commitment to the highest level of integrity – with a mission to protect and grow client assets as the firm’s investment advisory representative. He has over 25 years of industry experience including investment management, financial planning, annuities and 401(k) plan advisory services. Paul brings a broad range of expertise to both his clients and his company. 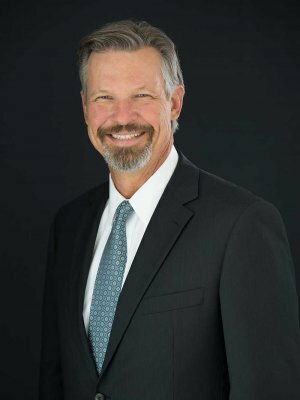 Prior to Fairview Financial Paul was a First Vice President of Investments with Wachovia Securities (now Wells Fargo) from 1999 – 2002 where he cultivated long term relationships with clients through diligent follow through and continual communication. He originally moved to Charlotte from Toronto, Canada in 1994 and worked as VP of Investments at Paine Webber (now UBS) before taking the position at Wachovia. Paul began his career in the financial and investment industry at Merrill Lynch immediately after graduating from Harvard in 1983 with a BA in Economics. He has held the series 7, 24, and 31 licenses and currently works as an Investment Advisory Representative and is a Certified Financial Planner and an Accredited Investment Fiduciary. © 2019 Fairview Financial, LLC. All rights reserved.